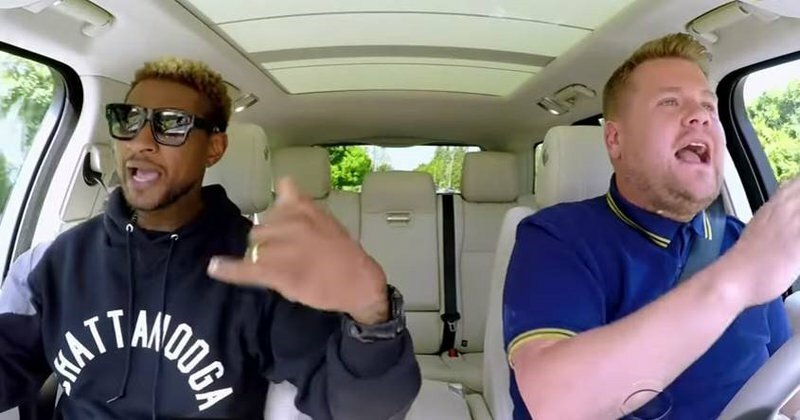 Usher brought all of his much-loved hits to the latest episode of 'Carpool Karaoke'. Can we just give it up for the amount of hits Usher has had over the years? Classic club bangers such as 'Yeah', 'OMG' and 'Caught Up' are only a few of Usher's biggest hits. Joining 'The Late Late Show's' James Corden on his hugely popular YouTube series 'Carpool Karaoke', he sang and danced along to all of your faves. The two even stop the car and managed to stumble upon Usher's star on the 'Hollywood Walk of Fame', and proceed to polish it. Nevertheless, they quickly hop back into the car and continue to sing along.